Delve into comfort and convenience at SpringHill Suites Danbury. Our stylish hotel places you in the heart of the action near the town of Ridgefield, Western Connecticut State University, Danbury Fair shopping mall and the village of Brewster. In-between adventurous outings, make yourself at home in our spacious suites featuring separate sleeping and living areas. We provide complimentary Wi-Fi, plush bedding and convenient kitchenettes. Kick-start your morning routine at our free breakfast buffet serving eggs, oatmeal, pastries, fresh fruit and more. The Market is your perfect pit stop for on-the-go snacks and beverages any time. 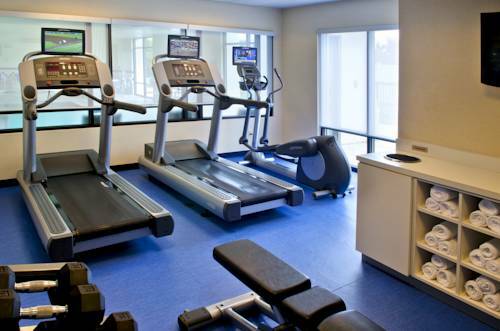 Our active travelers can keep up with their workout regimen in our fitness center, open 24 hours a day to suit any schedule. Enjoy an invigorating swim in our heated indoor pool. If you have to work on corporate tasks, stay productive in our on-site business center. Whatever fills your time, expect the ultimate relaxation at SpringHill Suites Danbury.